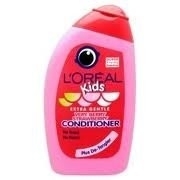 L’Oréal Kids is so gentle, is designed to be tear free! The creamy, conditioning formula is great for hard to manage hair. It helps eliminate knots & split ends, leaving hair feeling extra soft and smooth. It’s easy to have soft manageable hair! Formula tested under ophthalmologist control. The delicious smell of Very Berry Strawberry conditioner makes hair washing a real treat! 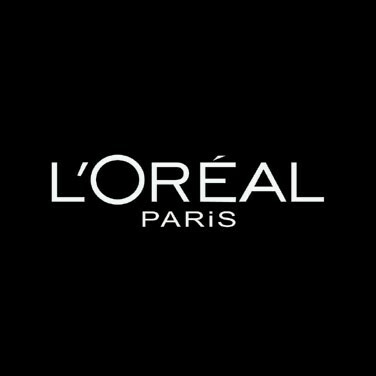 It smells great alone or with the fruity fragrance of any other L’Oréal Kids products. Massage into wet hair and rinse well. Love this fruity smelling conditioner the hair is left smelling amazing after using this. My hair was soft and tangle free once I had used this which is great. It also has a really nice consistency to it, not too thin or too thick. I found that a little amount went a long way so good value for money. I bought this for using when my granddaughter stays as her hair is long and gets tangles easily and I hate it when she gets upset when drying her hair. This smells lovely and she likes using it. It rinses out easily with no fuss. It leaves her hair soft and easy to brush through as I am drying it. A mild gentle conditioner suitable for even the youngest child. This conditioner is fantastic for my niece who loves anything pink and strawberry!! We do not use a conditioner all the time when we wash her hair but if the tangles are particularly bad we will use a standalone conditioner! The bottle is great and has a cartoon fish design with bright pink colours and an easy hold, soft squeeze design. When you dispense the shampoo it is a runny consistency which is strange as the shampoo of this range is twice as thick? The conditioner is pale pink in colour and the fragrance is gorgeous! It reminds me of strawberry yoghurt! The fragrance intensifies during treatment but does not linger too much on the hair. After rinsing and drying it leaves the hair beautifully detangled, soft and frizz free and shiny. You only need a tiny amount of conditioner per application so the bottle lasts a long time and is excellent value for money! This is good performance conditioner which makes bathtime painless and fun. I bought this conditioner as sometimes the lads hair can get a little dry. It was not too thick and washed out so easily, leaving their hair soft, silky and looking good. The scent is really beautiful and sweet, perfect for kids. Bottle looks great and fun and the price is good too.